Young mothers are now fighting for two lives when becoming pregnant in the midst of addiction, and the options are limited and harsh. A common misconception with pregnant users is that if they stop the use cold turkey, it could harm the baby or possibly kill it. A lot of doctors don’t know how to treat both mother and baby appropriately and some mothers are advised not to bring up their use during prenatal care checks. United States Babies born addicted to opioids has tripled in the last 15 years according to a CDC report in 2016. The CDC found that the incidence of neonatal abstinence syndrome jumped to 6 per 1,000 hospital births in 2013, up from 1.5 per 1,000 in 1999. The data came from 28 states with publicly available data on opioid addiction. Each state has enormous jumps according to the report, but the ones with the gravest new numbers were Vermont, West Virginia and Maine. In West Virginia alone 33.4 of every 1,000 newborns suffered from withdrawal symptoms in 2013. Neonatal abstinence syndrome (also called NAS) occurs when a baby is exposed to drugs in the womb before birth. The baby can then go through drug withdrawal after birth. 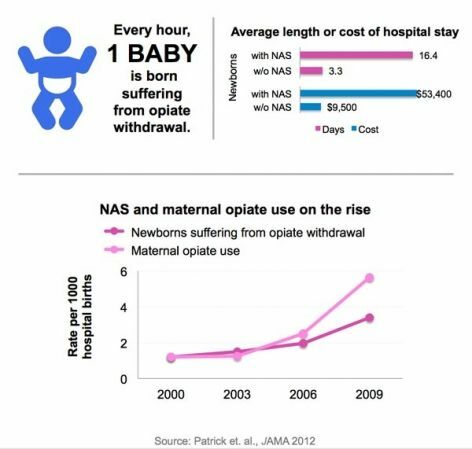 NAS most often is caused when a woman takes opioids during pregnancy. Expectant mothers need to be able to find appropriate medical care that has a mix of prenatal care and a safe and healthy detox. Some mothers have found a limited amount of resources and doctors who know how to treat both mother and baby. It is hoped that a pregnant mother would seek treatment at first acknowledgement of pregnancy, but that is not always the case. Specialized addiction treatment centers and rehabilitation facilities treat women who are pregnant and provide a safe environment in which they can recover from addiction. In 2010, 4.8 percent of women who were admitted to addiction treatment programs were pregnant. 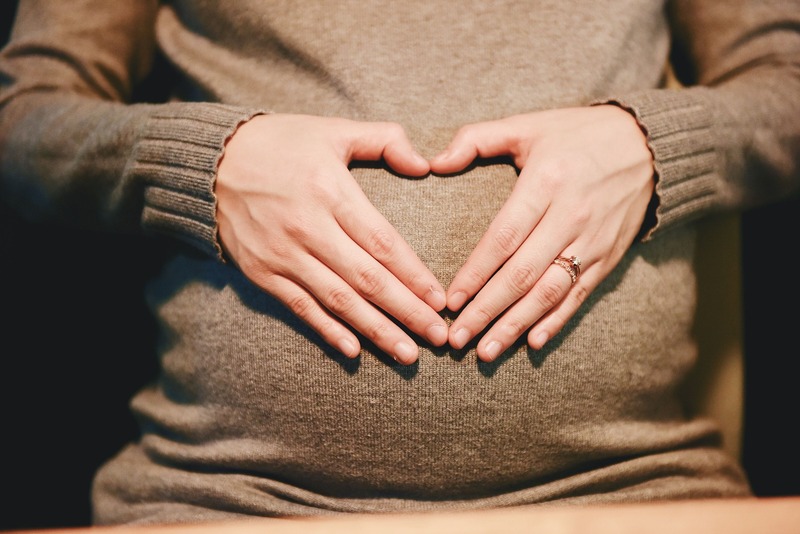 Variations of treatment options are available for drug-addicted pregnant women, but some treatments have proven to be more effective for certain types of addiction than for others. Babies suffering from withdrawal are irritable and often have a difficult time being comforted. Swaddling, or snugly wrapping the baby in a blanket, may help comfort the baby. Babies also may need extra calories because of their increased activity and may need a higher calorie formula. Intravenous (IV) fluids are sometimes needed if the baby becomes dehydrated or has severe vomiting or diarrhea. Babies may need medications to treat severe withdrawal symptoms, such as seizures, and to help relieve the discomfort and problems of withdrawal. The treatment drug is usually in the same family of drugs as the substance the baby is withdrawing from. Once the signs of withdrawal are controlled, the dosage is gradually decreased to help wean the baby off the drug. The idea is to give the baby just enough opioid to reduce their symptoms, then slowly, over days or weeks decrease that dose to zero. The best way to prevent NAS is to seek treatment before the child is born but in regards to infant development, the sooner the better. Finding a treatment center for yourself could be the gift your baby deserves, to give him or her a fighting chance at a healthy life.